The Riley 9ft Brown Burwat Pool Table looks definitely different from your normal British pub pool table. At 9ft they are the right size for those who want a game of pool like they play in America. They are stunning to look at and perfectly made indeed. These pool tables do not have ball return, i.e. after being pocketed, the balls do not return to a central or end receptacle, and instead they stay in the pockets. 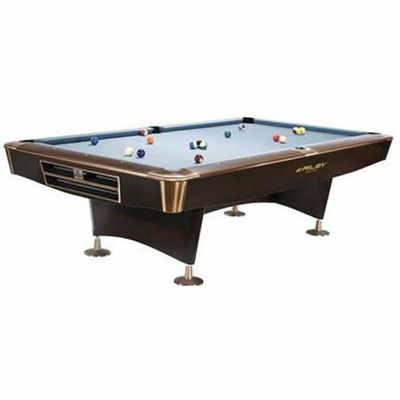 for submitting product review about Riley 9ft Brown Burwat Slate Pool Table.